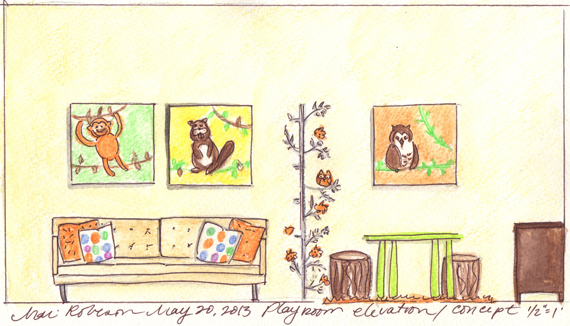 When I put together a room I like to draw quick elevations for a couple of reasons. First of all, it's fun, but mainly I draw it out so I remember my discussions with my client and how they want their space to look. 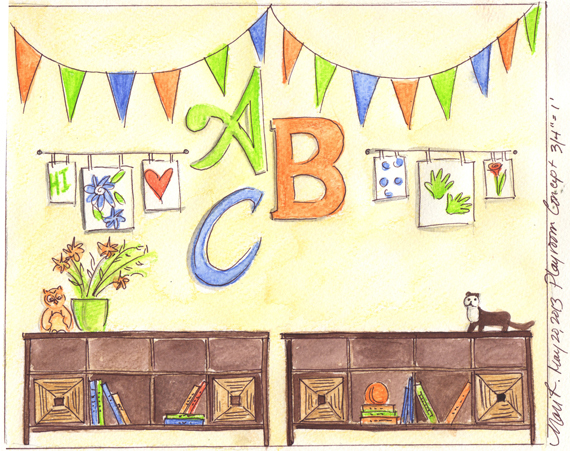 This is a little playroom my friend, Teri and I, are working on together. Just posting it because I think it's interesting to see how other designers work through the process of putting a room together, of course there are many more details to this room...paint schedule, furniture & accessory schedules, etc...etc... I'm sure even this will evolve and change. We'll know for sure in August when we do the installation!